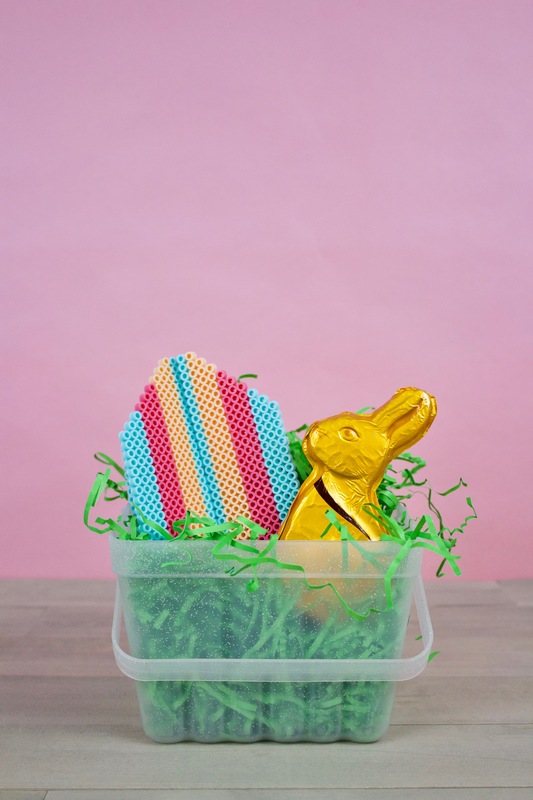 Easter is just around the corner and that means our world is about to fill up with chocolate bunnies, sugary marshmallow chicks, and fun and fancily decorated eggs. There is nothing I love more than boldly colored eggs scattered across my dining room table and scattered around the backyard ready for all the kiddos to scurry to grab them as fast as they can. 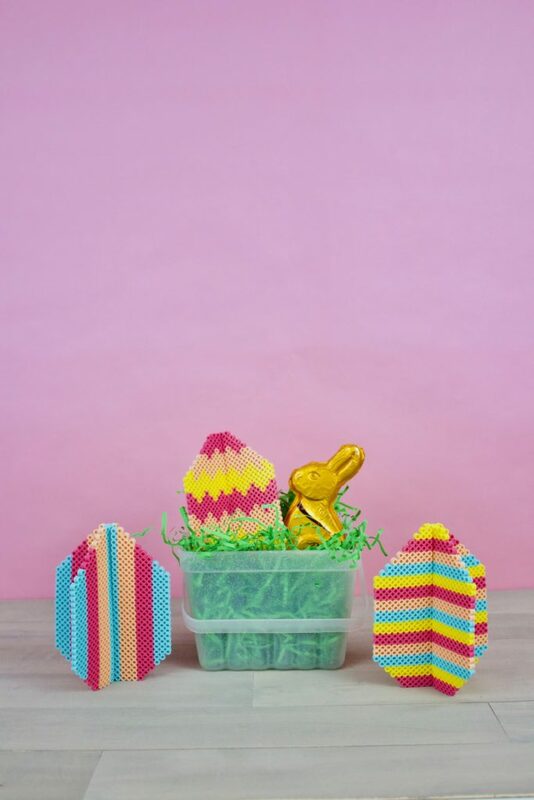 This year, after seeing how much you loved our kid friendly perler bead patterns – I thought it would be fun to add another exciting element for all the kiddos. 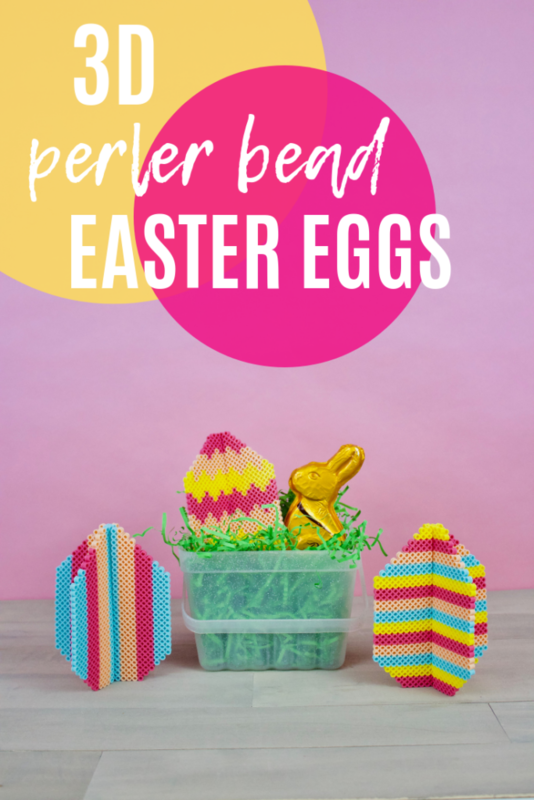 With these fun and easy to create 3D perler bead patterns featuring Easter eggs, the kids can create their own perfectly decorated egg that they love! Plus you won’t have blue dyed fingers and stained clothes to clean up afterward (SCORE!). 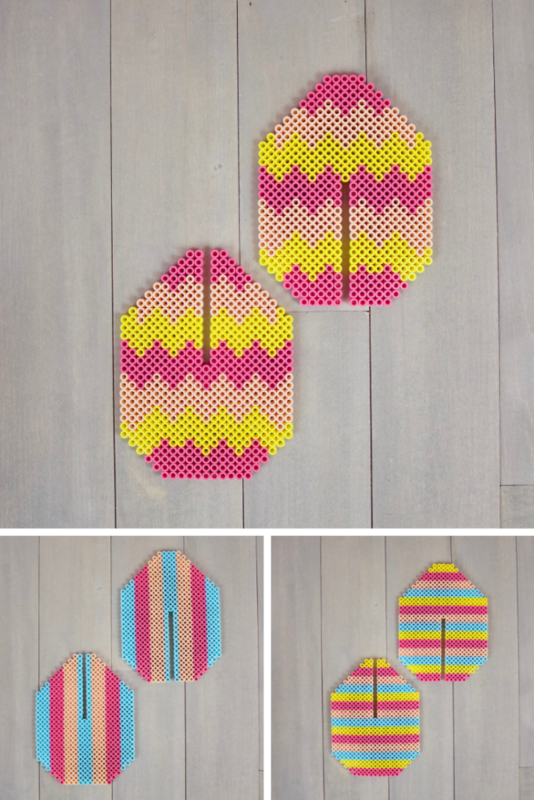 Perler Bead Boards, I used a 5.5in x 5.5in bead board to create my 3D Easter eggs. 1. The first step is creating your outline, this all depends on how big or how small you want your eggs to be. 2. 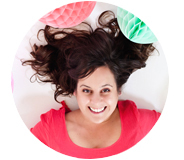 Next, figure out your fun multicolored design! Let the creativity flow with this step, make it fun! 3. 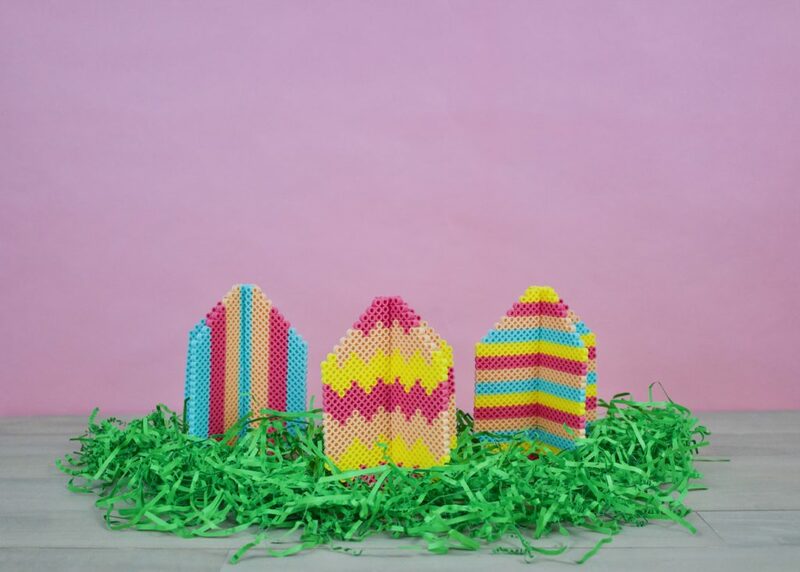 You will need to create two identically shaped egg perler bead patterns to make the 3D look. With the first egg remove the Perler beads from the top center to the middle. 4. On the second egg remove the perler beads from the bottom center to the middle. 5. Use your iron paper and iron the beads. 6. 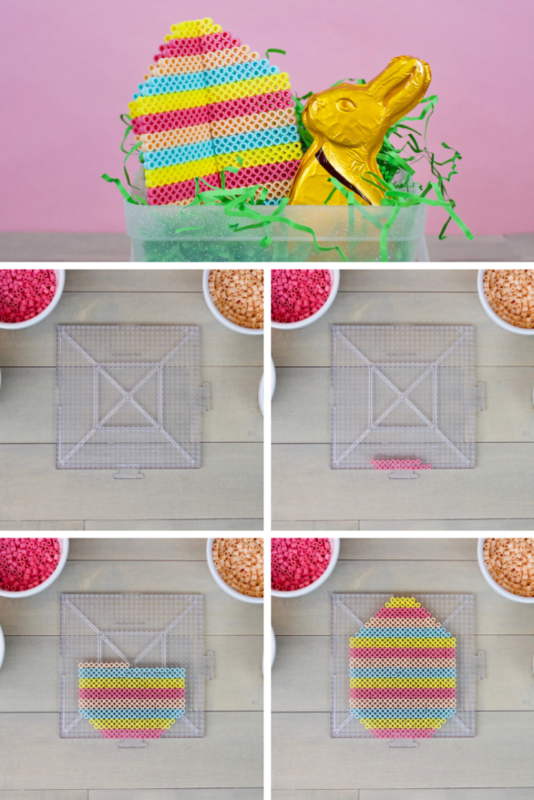 Once your eggs have cooled slide them together creating a fun 3D Easter egg! 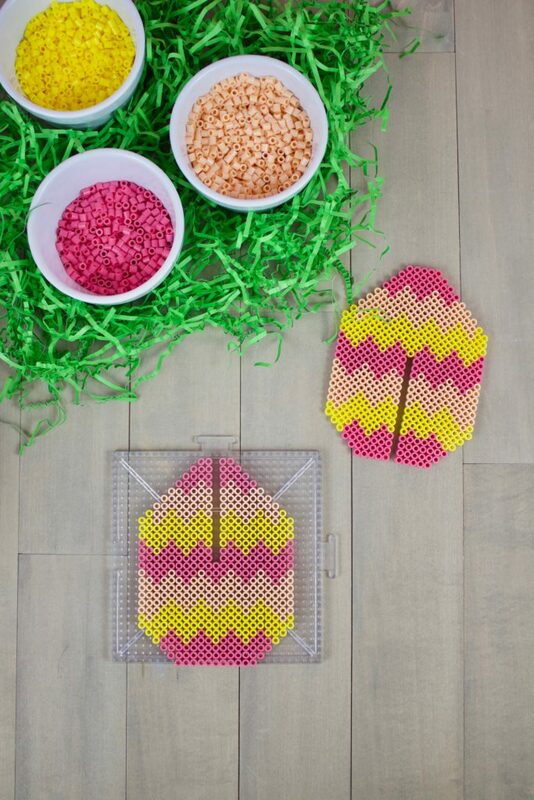 Let me know in the comments how you use your 3D Perler bead Easter eggs.